employees understand their employment rights. FLSA overtime claims can be confusing. It is always wise to contact a FLSA attorney for guidance. 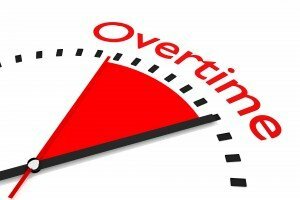 It should be noted that there are notable exemptions to the overtime standards that many employees and employers do not fully understand. In June, 2015, the Wage and hour Division released a Notice of Proposed Rulemaking (NPRM) to update regulations governing overtime pay for white collar workers who work more than 40 hours in a workweek. More than 130 million full-time and part-time workers in the US fall under protections in the Fair Labor Standards Act. Qualified workers have a range of rights under this act and employers are bound to comply. Failure to comply is punishable under federal law as well as in civil courts by an FLSA attorney. Employers are prohibited from displacing an employee in favor of a youth earning less per hour. Employers can hire piece-rate workers but must pay at least the equivalent of the minimum hourly wage and overtime for hours in excess of 40 hours in a workweek. Employers of “tipped” workers who regularly receive more than $30 per month may consider tips as part of the employee wages. Unless exempt, employees in Texas and across the US must receive overtime pay for hours worked above 40 hours in a given workweek. The minimum standard for overtime pay is 1.5 times the regular hourly rate. There is no limit to the number of overtime hours an employee can work in a given workweek. Work on Saturdays, Sundays or holidays does not necessarily qualify as overtime unless the 40-hour workweek threshold has been met. An employee workweek must start at the same time and day each week and run for 168 consecutive hours (7 days x 24 hours). In most case, overtime hours should be paid at the regular payday. Some workers are exempt from minimum wage and overtime provisions. Every employer in Texas is subject to minimum wage provisions under the Fair Labor Standards Act and must post a notice explaining FSLA in conspicuous places where employees can readily read the poster. Approved posters are available in most languages. Under provisions in FSLA, employers are mandated to maintain accurate records for all full-time and part-time employees. These records must be on hand and ready for review by Department of Labor and Wage and Hour investigators. Employers can also be held responsible for back wages, overtime pay and severe penalties and fines. Employees have the right to collect wages and can file claims for violations with the Wage and Hours Division. Employees can also file a private suit for up to two years of back pay. Do I need a FLSA Attorney? The warriors for justice at the Fort Worth laws firm of Hutchison & Stoy, PLLC, take all violations of the Fair Labor Standards Act seriously. If you or someone you know is owed back wages, a FLSA attorney at at Hutchison & Stoy, PLLC can help. Call us at 817-820-0100 to arrange a free and confidential review of your FLSA claim. If you have a valid claim, we will make sure you are compensated and your employer complies with the law!